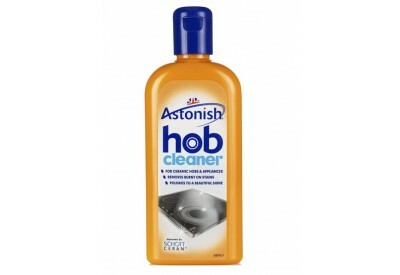 Astonish Hob Cleaner (235ml) is perfect for ceramic hobs and appliances. The hob cleaner removes burnt on stains and polishes to a beautiful shine. 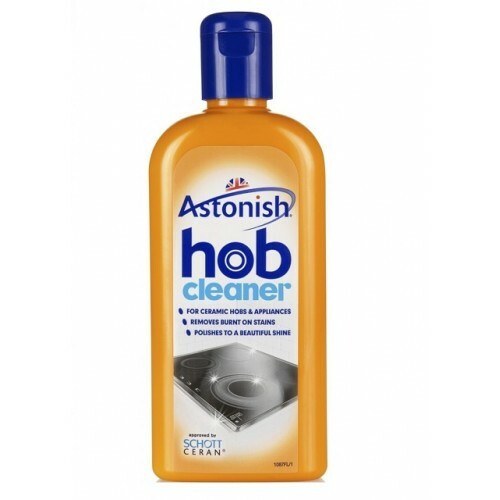 Astonish hob cleaner has been specially formulated for use on ceramic, glass induction and halogen hobs as well as microwaves. The powerful cream easily cuts through burnt on stains, leaving your hob sparkling clean whilst conditioning the surface to build up a proctective layer, finishing with a beautiful shine.